We kindly invite you to our 3rd Erasmus Staff Training Week at ISAL – Higher Institute of Administration and Languages. The event will be held from 3 to 7 September 2018 in Madeira, Portugal. We consider it a great opportunity to share knowledge and experience in the field of Erasmus+ mobility and to promote the idea of internationalization. Enjoy the Wine Festival in Madeira! 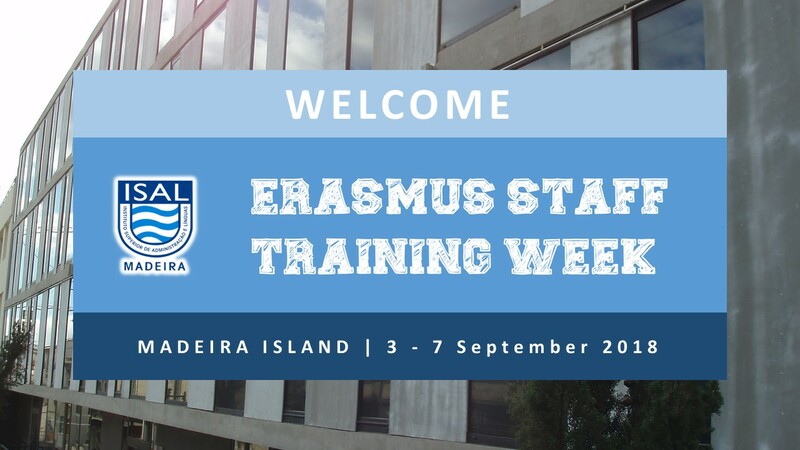 Participants are expected to cover their own travel, accommodation and living expenses through the Erasmus+ fund for staff training mobility (STT) or otherwise. The program for the week includes round table discussions, presentations, problem solving cases and social events. The main objectives of the program include peer-learning, networking, transfer of knowledge and sharing of experiences and best practices among colleagues from partner and non-partner institutions. Participants are expected to bring into the discussion examples from their own institutions and present best practices or innovative approaches to the issues addressed. We are looking forward to welcome you in ISAL!